There are many misconceptions over cosmetic surgery, and scare stories of exploding breast implants and post surgery complications can easily be found. The truth on the myths and facts of cosmetic surgery can also easily be found simply by contacting a qualified cosmetic surgeon and undertaking your own research. Reputable cosmetic surgeons would not be in business for very long if people believed every scare story they read. Scare stories make great reading material and also make great television shows, but they should not all be believed. Some of these stories are of course true, but the main reason for shoddy surgery and post treatment complications will be patients going for the cheapest option. You wouldn't normally go to a side street barber for a professional haircut yet some people will actually go to certain easily found cosmetic surgeons because of the cheap price. Unbelievably many people will also not check a surgeon's credentials before going through with a treatment. There is money to be made in cosmetic surgery, and it is a business. In all businesses there will be people who will take advantage of other's ignorance, and anyone who is considering cosmetic surgery should always research the surgeon's and the clinic's credentials. There have always been horrific stories regarding patients travelling abroad for low cost treatment and coming back with shoddy facelifts. These stories are usually sensationalised in newspapers and then retold by people who do not have first hand knowledge of cosmetic surgery abroad. Low cost does not always equal bad treatment. Everyone knows that the cost of cosmetic treatment abroad is less expensive than that available in the UK. This is down to a large number of factors including the economy of the country, the low cost of materials, the exchange rate, and low overheads. There is also the fact that many surgeries abroad are subsidised either by the government or through private funding from companies. Many of the clinics and private hospitals abroad are of a better standard than can be found in the UK. The myth regarding infections caught in clinics abroad is just that, a myth. The truth is that most private clinics abroad have a higher standard of cleanliness and the funding to keep hygiene levels well above the standard found in hospitals in the UK. You only need to compare the levels of infections such as the MRSA superbug caught in UK hospitals and those found in hospitals abroad to actually see how much of a myth this is. Countries such as Sweden, Norway, and the Czech Republic are reported as having a 0% to 6% MRSA infection rate whereas the UK is showing a figure of 45%. Standards of Treatment Will Not Be the Same. Another myth is that the standard of professionalism when going abroad for cosmetic treatment will not be the same as can be found in the UK. Reputable cosmetic surgeons in Europe undertake several years of training before they can practice; many actually train in the UK before returning home to set up their own business. In most cases the clinic staff will speak English and professionalism is a high priority. Thousands of UK patients travel abroad each year for cosmetic surgery and have successful treatments without any problems. This is another myth regarding guaranteed any post surgical complications that do occur. If surgery abroad is booked through a reputable medical provider then there should be guarantees set in place. These should include complimentary return flights, accommodation, and the cost of any surgery. If a medical service provider does not give these guarantees then simply look for one that will. Issues on scarring crop up time and again among the various myths and facts of cosmetic surgery. 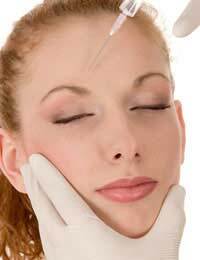 There will always be some scarring with certain types of cosmetic surgery, but good cosmetic surgeons will be able to minimise any scarring. Scarring is a part of the healing process but by following the surgeon's aftercare regime and avoiding stress and strain the scarring should be almost non existent. Scarring will be more visible if the operated area is not given appropriate time to heal. A large number of post surgery complications occur when patients do not follow the surgeon's aftercare advice to the letter. Those considering cosmetic surgery should always carry out some form of research in order to distinguish between the myths and facts of cosmetic surgery. Undertaking thorough research and talking to the surgeon before any treatment will help allay any fears and make for a more successful treatment experience.